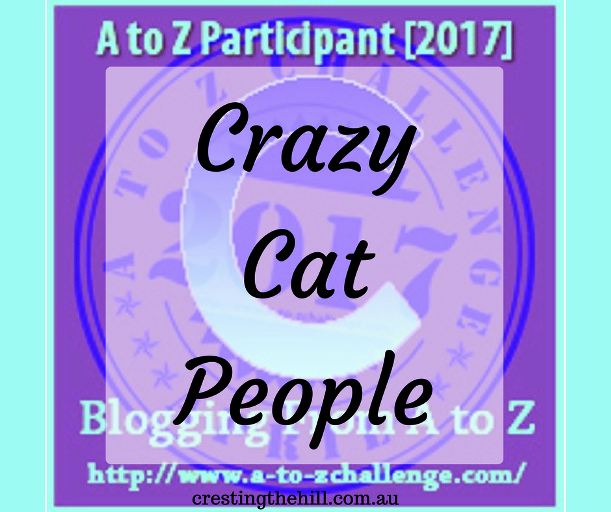 Craziness and being a cat person is usually associated with spinsters - the obvious sign that you are never going to get married is that you own a cat (or two, or three). It might be the symbol for spinsters, but there is another stage of life where cat ownership sneaks up on you and that's Midlife. Before you know it you've become one of those crazy people who need to de-hair their clothes before they leave the house. From the moment I met my husband, we were dog people. He owned a Border Collie and later we owned a cross-breed (or mongrel as my husband referred to her), and finally a Jack Russell cross who was part of our lives for 14 years until he passed away a couple of years ago. Somewhere along the line we added a cat to the mix. Cats are the easiest pets - they are neat and tidy, toilet themselves, aren't particularly demanding, and love to curl up on your lap or next to you in the evenings. What's not to like? Once our old dog departed to Dog Heaven we decided that we'd reached a stage in life (with no kids at home any more) where a dog needed too much time and attention. They love to be loved and they need to have owners who walk them, and wash them, and groom them, and pat them, and play with them, and the list goes on. We were no longer those people. We just wanted a pet who was happy to see us and then happy to co-exist in a fairly non-demanding manner, hence we became cat people. We added a second cat to our family and haven't looked back. 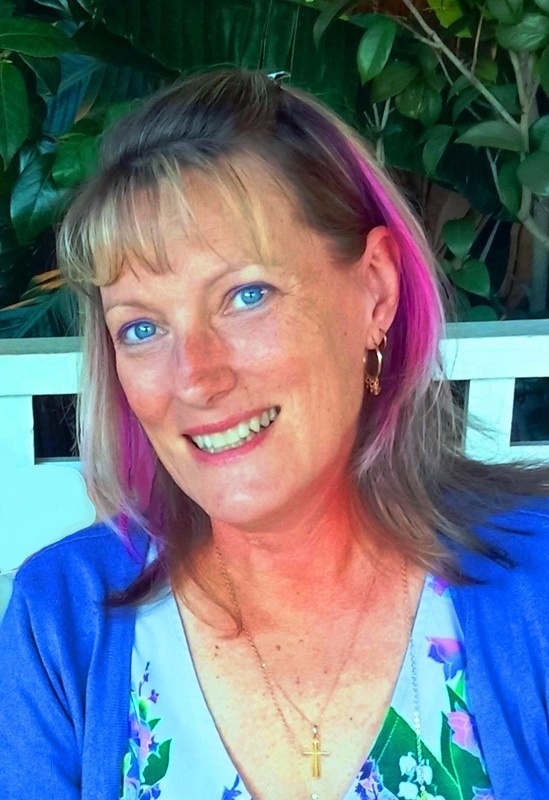 So from dog lovers to crazy cat people - another step in the Midlife journey. 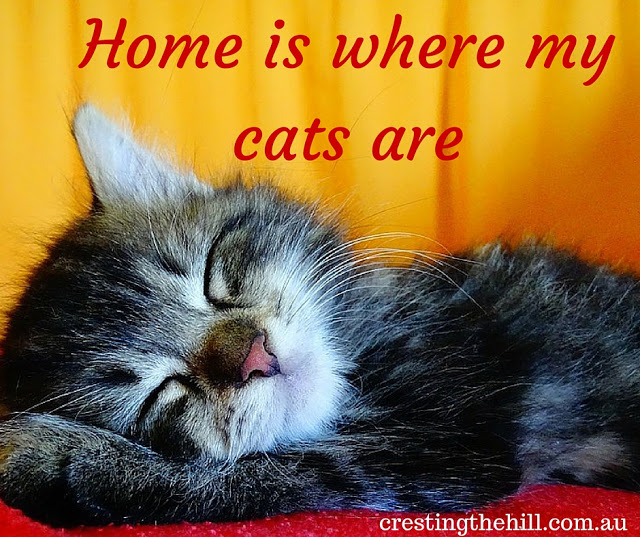 If you'd like to read more about Midlife and Crazy Cat People you can go HERE or HERE. See you tomorrow for D - which is for Midlife and Depression. We just lost our cat of 15 years about 6 weeks ago. He was my husband's cat really but he would humor if my hubby was not home. We are more crazy dog people with 3 in our house now. I'm not sure what I was thinking bringing the 3rd one in but oh well, that's that. I'm really looking forward to your post tomorrow, it will likely hit home with me. Until then, cheers! This explains the need I have been feeling to get a cat. You are right dogs need too much time , attention and care - tho I just adore them!!! Your cats are wonderful. I'm a dog person too but was adopted by a cat a few years ago and now live in her house. We are dog people with a cat on the side. Sadly, the cat has departed for catty Heaven, and we're down to one aging arthriticy Jack Russel who rules our now-small-retirement home. We'd love to get a cat again, but it's not something we can handle in our current life-style. So we're left with memories! We have a dog and a cat... we used to have 2 of each but as one has died we have not replaced and since lots of travel is in our future ( we have a caravan newly bought last year)... my husband says no more after these go... but I don't know. I love pets. We shall see. Jack is a Jack Russell cross. He's 8. Pippin is a siamese cross and he is supposed to be my son's cat but he left home 5 years ago and the cat is still here so... guess he's really mine. I don't check for cat hairs... or threads. I am usually covered in them being a crazy patchwork lady! I'm not sure if I love cats, but dogs I simply adore! We have him and he's like our baby! I had 2 dogs as pets when I was young. Then my kids got 2 guinea pigs. Never had cats but lately have been thinking maybe a cat would be nice to have sometime, not just yet. I'm not a cat or even a dog person. But love your post. OMG... this is me. I ( and I say I because it would be a lie to say we...he goes along with it reluctantly) have somehow turned into some crazy cat lady ( with a dog that needed a home on the side) I post FB pics of them and all my friends seem to know their names, Jack and Doug, and their personalities, as if they are actual people in my family. I am an official "crazy cat lady" and proud of it! However, I am not a spinster; we have 3 married daughters and ten grandchildren with whom we are very involved. Along the way, six (6!) needy cats came our way and, fully recovered from feral trauma, they abide in peace with us, making our lives complete! We also adopted a dog who'd been rescued from a hoarder in an awful situation. We didn't "need" a dog, but since the Lord blessed us with generous hearts and a large, happy home, it just made sense to share it with another in need. My husband and I are happy and fulfilled and our 7 "dependents" have assured us we'll never know the loneliness of an empty nest! I suppose I add this with a risk of offending someone, but among the dozens of blogs I read, I can always separate animal lovers from others. The latter exude a "coldness" that the former do not. Your site, Leanne, is so warm and welcoming. 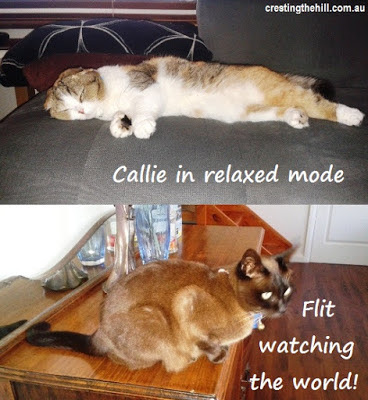 I would have suspected you had pets even before you unveiled Callie and Flit here today! I've only had cats or dogs as a child Leanne but lately both Mike and I have been wanting a little dog. It isn't practical though living in an apartment. I can see that cats can be very calming. I like the thought of me sitting in my chair as I get older, stroking my cat and hearing it's calming purr. The research has been coming in loud and clear: pet ownership, especially in retirement, bring huge health benefits. The photos of your cats are adorable! Barring circumstances we cannot control, we plan to live out the rest of our lives & die here, at home on the farm. A farm always needs a dog, so that's non-negotiable, & we also always need a couple of cats to keep the vermin population at bay. God Bless Mr Shoes & Me that life on the farm goes on, together, until the day it all ends. In our will, all our animals, the pets & the livestock, are taken care of with specific instructions.